to the smaller tank and the other half to a rising ground 200 yards to the left of it and started bombarding the entrenchment with greater efficiency, throwing the approaching trains into confusion. The Nawab’s troops shot their matchlocks from holes, ditches, hollows and from bushes on the hill east of the redoubt while St. Frais kept up his artillery fire from the redoubt. Cavalry charges were also repulsed by the British field pieces. However, the British force sustained most of its casualties in this phase. At this point, Clive realized that the lingering division was Mir Jafar’s and concentrated his efforts at capturing the redoubt and hill east of it. Clive ordered a three-pronged attack with simultaneous attacks by two detachments on the redoubt and the hill supported by the main force in the centre. Two companies of grenadiers of the 39th Regiment, under Major Coote took the hill at 16:30 after the enemy fled without firing a shot. Coote pursued them across the entrenchment. The redoubt was also taken after St. Frais was forced to retreat. By 17:00, the British occupied the entrenchment and the camp left by a dispersing army. The British troops marched on and halted 6 miles (9.7 km) beyond Daudpur at 20:00. The British losses were estimated at 22 killed and 50 wounded. 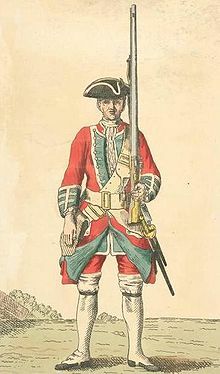 Of the killed, three were of the Madras Artillery, one of the Madras Regiment and one of the Bengal European Regiment. Of the wounded, four were of the 39th Regiment, three of the Madras Regiment, four of the Madras Artillery, two of the Bengal European Regiment, one of the Bengal Artillery and one of the Bombay Regiment. Of the losses by the sepoys, four Madras and nine Bengal sepoys were killed while nineteen Madras and eleven Bengal sepoys were wounded. Clive estimates that the Nawab’s force lost 500 men, including several key officers.